Like everyone else, you wrote your Will so that your wishes could be acted upon when you die. Everyone goes through significant changes in their life. However, many people write their Will, forget about it and never review the document. Even after significant life events occur which would have rendered it invalid or even no longer appropriate. Simply put if your Will is no longer accurate or up to date this can cause real problems, worry and added stress to your loved ones when you die. Possibly even leaving them without enough to cope with financially or worse still nothing at all. New Grandchildren – You will most likely want to add your grandchildren in your Will. Recently married – Did you know that getting married cancels any Will you have made before? Separated or Divorced – while this will not automatically cancel a previous Will it is probably a good idea to review your wishes and ensure they are up to date. Moving house – You may have downsized and released some equity, maybe you want to set up a trust fund for your grandchildren? The executor named in the Will dies – Or even if they no longer make a suitable executor for you. 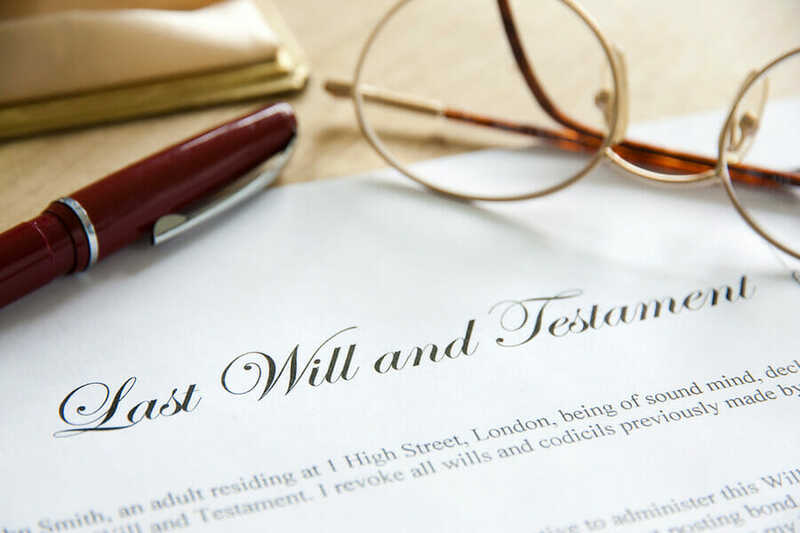 We always recommend having more than one executor named in your Will; however, it is crucial they are willing and able to administer your estate when you die. Someone named in your Will dies before you – You will want to review the gift you intended to be left to the deceased beneficiary and decide what should happen to it in the event of your death. I need to make changes to my Will, how do I do this? You are not allowed to amend your Will after it is signed and witnessed. Instead, you have to make an official alteration called a codicil. A codicil must be signed and witnessed in the same way as you would have done for the original Will although you don’t need to have the same witnesses. There are no limits to how many codicils you can add to a Will. Although the more changes you make in this way, the more complex and difficult to interpret your Will becomes. Making changes in this way may save you some money it is not the best way to update your Will. For significant changes in your circumstances, you should write a new Will instead of using codicils. Writing a new Will is easier to administer when you die, and it is tidier having one document stating your wishes. It is also worth reading our blog post on common mistakes in a Will to ensure you do not create any additional problems further down the line. If you are looking to make changes to an existing Will or even creating your first Will, Wills & Legal Services can help. We are a national Paralegal Law Firm specialising in Estate Planning and associated services. Take the first step in securing your wishes today by getting in touch with us by calling 01885 490380, or you can reach us via email at info@willslegalservices.co.uk or complete the form on this page, and one of our legal team will be in touch as soon as possible.